Summary: The perfect combination of Internet, mobile communication technology and computer technology has created mobile e-commerce, which will be welcomed by consumers with its flexible, simple and convenient features. The development of mobile e-commerce will benefit ordinary consumers in booking tickets, paying fees, stock transactions and financial processing.According to a survey by Frost&Sullivan, the world's leading market regulator, mobile e-commerce will take a qualitative leap over the next few years, with 171 million mobile e-commerce users and $10.8 billion in transactions in 2005; the market value of mobile e-commerce is expected to reach $25 billion in 2006, when mobile e-commerce will account for 15 per cent of the global online transaction market. Mobile payment, as an emerging method of fee settlement, has become increasingly popular among mobile operators, online merchants and consumers due to its convenience. Mobile payment, although only developed in recent years, is gaining popularity among consumers around the world, especially among young people, because it is as convenient as credit cards, while avoiding the hassle of using multiple credit cards in the transaction process and whether merchants can support the settlement of these credit cards.According to a market survey conducted by Yankee Group in the United States, the mobile shopping market in the Asia-Pacific region will reach $54.8 billion by 2006, when about 300 million people will be shopping with their mobile phones. As a new payment method, mobile payment has the advantages of convenience, rapidity, security and low cost. It will have great commercial prospects and will lead the development of mobile e-commerce and wireless finance.Mobile payment is a trend in the development of mobile e-commerce, which includes mobile small payment and mobile wallet.Mobile wallets, like bank cards, can satisfy large payments. It is China Mobile's main data business brand in the near future. By binding users' bank accounts and mobile phone numbers, users can operate their bank accounts through short messages, voice, GPRS and many other ways, realize functions such as inquiry, transfer, payment and consumption, and can get notification of transaction results and account changes by SMS, so we will believe that mobile payment will be a bright spot. Consumer front-end consumer system: to ensure that consumers smoothly to buy the required products and services, and at any time to observe the consumption of itemized accounts, balances and other information. :: Merchant management system: sales data and profit sharing can be viewed at any time. :: Integrated Management System for Wireless Operators: the most complex part of the system, which includes two important subsystems, namely, the authentication system and the billing system. It not only reviews the rights and accounts of consumers, but also monitors the services and products provided by merchants to see whether they comply with the laws of the country in which they are located and, most importantly, it provides a technical guarantee for the ultimate realization of the share of profits. The transaction details will be written to the consumer front consumer system for consumer inquiries. This completes the trading process. When a consumer selects a product, confirms the purchase, and issues a purchase order, the system first connects to the wireless carrier's integrated management system, from which the consumer's permission information and account amount information are extracted, and the amount of the product purchased and the required purchase authority are compared in real time, and if there is a discrepancy, the transaction is rejected. This avoids the possibility of the traditional back-to-back transaction being cheated.At the same time, because the personal data and other personal information of consumers are not placed in the online business system, the privacy rights of consumers can be fully taken into account and the interests of consumers are protected. Preventing legitimate or private data from being obtained by illegal users is usually achieved by means of encryption, thus ensuring that only the parties to the transaction are uniquely aware of the content of the transaction in the course of the transaction. Ensure that the content of the transaction cannot be modified by other parties to the transaction or by illegal intruders. Authorizers (both parties to a transaction) have ready and secure access to information and information system services, and availability is a secure activity to secure a transaction after a widespread denial of service attack. The parties to the transaction can be trusted, that is, to ensure mutual authentication between services and to prevent fraud. Ensure the use of wireless (wired) networks and computing resources in the transaction process. 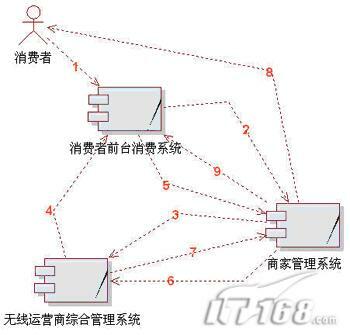 To ensure the transaction behavior is correct, the two sides can not deny the transaction behavior. Each merchant's product or service has a unique transaction number in the operator's entire trading system. When the required service is selected, it is not a direct settlement in the merchant's system, but a unified settlement platform to avoid the operator and the merchant back-to-back status quo. This unified settlement platform contains consumer personal information, account balance, consumer rights, geographic information and so on. The wired transaction mode can make the transaction process clearer, the step is simpler, lets more people adapt, avoids the jumbled transaction process, but the wireless transaction way can solve the spatial insufficiency, causes the transaction everywhere, the combination of the two, will enable the mobile phone payment to have more users, creates more value. Wireless operators and businesses should share resources, such as technology and consumer credit history. Adequate sharing of resources is conducive to businesses and wireless operators to maintain long-term cooperation. In the event of technical or administrative vulnerabilities in mobile payment systems, consumers and merchants can communicate with wireless carriers in a timely manner to minimize losses. At present, no country has introduced relevant laws and regulations on mobile phone payment, so once disputes and infringement, it is difficult to have an accurate legal definition and judgment, it is imperative that the state introduce relevant laws and regulations to give mobile phone payment this nascent model to be protected and constrained. In fact, before China Mobile announced the plan of mobile phone small shopping service, foreign mobile operators had already launched mobile phone small payment service. In Hull, the UK, Ericsson has developed a mobile phone payment service that allows car drivers to pay for parking with their mobile phones. After parking in a car park, users can use their mobile phones to connect to the charging system. Users can talk to a computer using voice recognition technology or send a text message with their mobile phones. Users simply state where they are parked, their registration number and the time they need to buy. In the southern Finnish city of Kotka, it is easy for customers to pay for goods using their mobile phones through a mobile payment system developed by a Finnish company. Customers can simply open a mobile account through the company developing the system and send text messages about the amount and time of payment to the merchant's account on their mobile phones to complete the payment formalities. If customers lose their mobile phones, they can terminate their mobile accounts by sending text messages or calling the company themselves. The Swedish company Paybox, after the successful launch of mobile payment systems in several countries, including Germany, Sweden, Austria and Spain, has announced that it will launch the system in the UK for the first time. Paybox Wireless Payment uses mobile phones as a tool to replace traditional credit cards. Users of the service simply register with the service provider to get an account number and provide it directly to the merchant when they buy goods or pay for a service charge. And Sydney, Australia, has launched a program called Dial-up Drinks, a new type of drinks vending machine with a specific number that users can dial with their mobile phone to get a cool drink. In addition to adding a drink to their monthly mobile phone bill, users don't have to pay extra for it. In China, China Mobile launched a pilot mobile payment service earlier in the country. 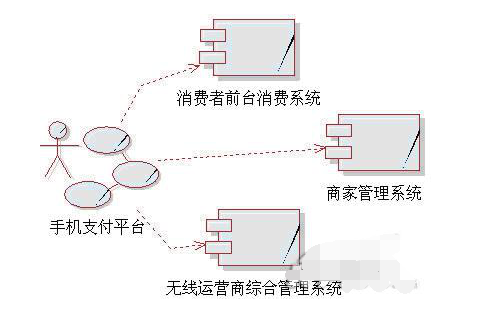 In June 2001, Shenzhen Mobile and Shenzhen Welfare Lottery Distribution Center cooperated to build a mobile betting system and opened the Shenzhen style mobile betting business. In October 2001, China Mobile teamed up with 51CP to try to launch the World Cup mobile betting football lottery business.In May 2002, China Mobile began to carry out micro-payment pilot projects in Zhejiang, Shanghai, Guangdong and Fujian. Zhejiang Mobile launched a pilot micro-payment service in Jiaxing to provide online payment, call charge and vending machine services. Guangdong Mobile, Fujian Mobile and Jiangsu Mobile also set up micro-payment platforms in the province to provide services such as football lottery and welfare lottery betting. At present, China Mobile has signed a contract with Guangdong Development Bank, which allows users to pay by mobile phone only once, regardless of whether they roam locally or abroad. In Beijing, Beijing Mobile has just announced the opening of a "mobile wallet" business. By binding user bank accounts and mobile phone numbers, Beijing Mobile's mobile phone users can make mobile payments through SMS, voice, GPRS and other means.At present, the banks that support mobile phone payment in China are: Guangdong Development Bank, Rural Credit Use Society, China Merchants Bank, Bank of China, Construction Bank, Bank of Communications, Commercial Bank, Fujian Industrial Bank, Shenzhen Development Bank, China CITIC Bank, etc. At the beginning of business development, China Mobile put the main application of mobile phone payment on small payments, such as payment of electronic mailbox fees, QQ lottery membership fees, online gaming monthly fees, purchase of food from vending machines, football and drinks, etc. In Sohu, the need for mobile phone song, Sohu Alumni, and other services, although in the form of ordinary text messaging services, but in fact through a special system directly sent to the receiver through the telephone network, that is, in the process, the mobile dream network only played a paid role, and the mobile phone is the system payment platform undertaker.At Sina.com, we find it convenient to pay for email with your mobile phone. You can get a paid email from your mobile phone in just 10 seconds. After purchase, the service fee is collected by Unicom when you pay your monthly phone bill. Of course, if you want to suspend service, you can log in to the Affiliate Mall, click "Pause Mailbox Service" and fill in the correct information as required. We can boldly anticipate that as long as the issues of credit security, fees, speed and cooperation with retail businesses are effectively addressed, there will be great potential for consumers to use mobile payment as a new form of payment for traditional shopping.Through domestic and foreign mobile payment practices, there is every reason to believe that mobile payment will do much good in the future and become a beneficial supplement to traditional payment methods. Description: GPRS (General Packet Radio Service) General Packet Radio Service (GPRS) is a GS-based wirelesspacketswitching technology that provides end-to-end, wide-area wireless IP connectivity. In layman's terms, GPRS is a technology for high-speed data processing by "packet" transmission of data to users.